About a week ago I ran a post about Satanism being practiced in America. Since then, I’ve gotten some interesting feedback that spurred me to post more on the subject today. I’ve been accused of being “narrow-minded” (among other things) on the subject of Satanism. I think I’m a pretty open-minded type of guy, and as a journalist I’ve always sought neutrality on every news subject I covered. Some readers felt I was mocking their religion (Satanism). Not so. I have to admit it’s not my cup of tea, but I’m not going on any witch hunts soon. Speaking for the Boomer Generation, the Devil is a downer in our books! Despite my feelings about Satanism, I’m sharing another article that gives some insight into the upcoming Black Mass to be held in Oklahoma (September 21st). Like nearly everything these days, political correctness has a way of repudiating the beliefs I grew up with. “A public ceremony of Satanists planned in Oklahoma City this month has prompted protests, a lawsuit from the Catholic Church, talk of a "black mass," and even the airing of laws against bloodletting. Such public images of fear are not uncommon when it comes to Satanist groups, though they may not be justified. The ceremony for the Oklahoma City Satanists is slated for Sept. 21 in the city's civic center and requires a ticket for admission. Officials from the city could not legally bar the group, as doing so would violate their First Amendment rights. 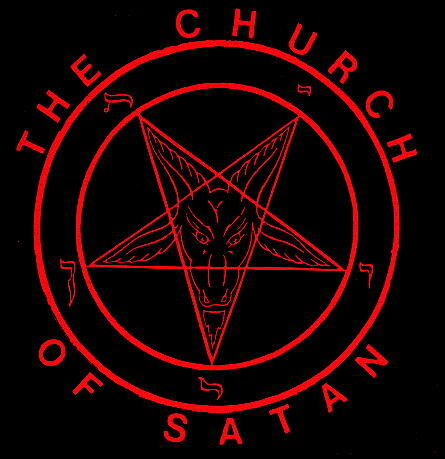 The event has been described in the news media as a "black mass," which, as James Lewis notes in his book "Satanism Today: An Encyclopedia of Religion, Folklore, and Popular Culture" (ABC-CLIO, 2001), "refers to a blasphemous parody of a conventional [Catholic] Mass that was traditionally thought to be the central rite of Satanism." This ritual was typically said to involve perverse orgies, a torrent of various bodily fluids, obscene gestures and even "a black candle made from the fat of unbaptized babies," Lewis wrote. The satanic group, Dakhma of Angra Mainyu, is using the event to make a point about freedom of religion and to educate people about their beliefs, according to news reports. "One of the dictates of the church is not only to educate the members but to educate the public and to debunk the Hollywood-projected image of our beliefs," one of the group's co-founders, Adam Daniels, told ABC News. Religious leaders in Oklahoma are upset that the Satanists are mocking Christianity and indeed they're right; much of the modern occult movement can be seen as a reaction to, and rejection of, mainstream religions and especially Catholicism. But it's also a political statement: Where one religion has been allowed a place in public spaces such as civic centers, parks and courthouses, other, lesser-known religious organizations such as satanic churches have requested and received similar privileges. It's not clear what exactly the "black mass" will involve, though the ceremony will include a woman in lingerie, blasphemous costumes, profanity, an unconsecrated host, and end with a mock exorcism, suggests the ABC News report.